Auroracoin, the digital currency given as a free hand-out to every resident of Iceland, was supposed to be a a salvo for a country rankled by a broken financial system. It was heralded as the beginning of hyper-localized cryptocurrencies; it became the second-largest cryptocurrency before it even launched, valued at half a billion dollars at its peak. And then it fell apart. A failure that's a blow to the entire crypto community, because as outlandish as it was, Auroracoin was launched in the right place at the right time, and it still crash-landed. That right time was March 2014. 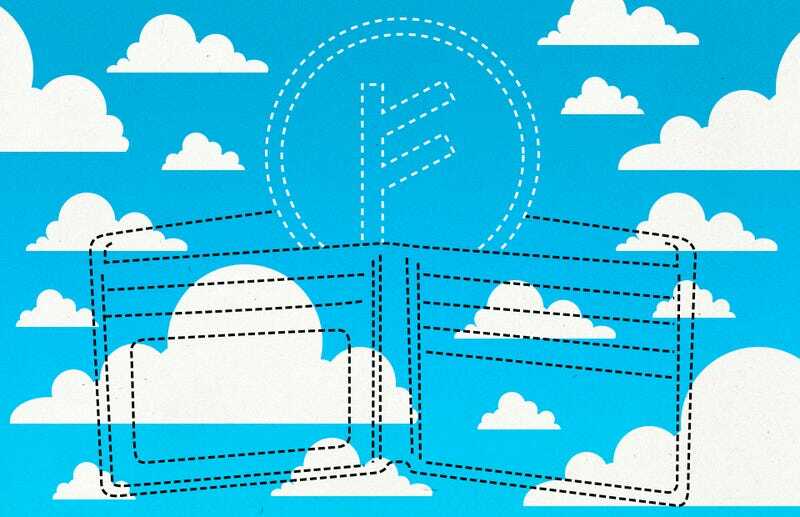 When a mysterious entrepreneur proposed a bold plan to "airdrop" digital money upon the masses, the political climate in Iceland was ideal for introducing a radical idea. Iceland was still reeling from the 2008 financial nuclear meltdown. Its largest private banks collapsed and the króna plummeted in value. It made the recession in the US that year look like the roaring 20s. Six years later, despite a rebound, the aftershocks were still harsh. Tight capital controls initially adopted to bolster the króna remained in place, limiting what Icelanders could do with their money. Enter Auroracoin! It wasn't just a weird new novelty currency, it was a political statement: Creator Baldur Friggjar Odinsson wanted to "break the shackles of the fiat currency system in Iceland" by urging the country to adopt his coin. "The people of Iceland are being sacrificed at the altar of a flawed financial system," his manifesto clucked. It leaned on public sentiment that people deserved better than the limpid króna, that there needed to be some reparation for the immense damage done in the financial crisis. Of course, "Baldur Friggjar Odinsson" isn't a real person. Like Satoshi Nakamoto, the furtive creator of Bitcoin, Odinsson is a pseudonym, a mashup of references to Nordic gods. Like Nakamoto, Odinsson concocted his own cryptocurrency, but its hooks were substantially different than Bitcoin. It was squarely aimed at one local population. It would start out 50% pre-mined by Odinsson, who would distribute a set number of coins in stages to each citizen of Iceland by using the country's Kennitala identification system. Everyone would get 31.8 coins just for being Icelandic. It was also the right media moment. Auroracoin was catching a ride on a hype machine at its most powerful. The outlook was wildly optimistic, and the amped-up speculation skyrocketed the value of the digital coins. But the swarming interest soon vanished. Cryptocurrencies are notoriously volatile, but the popping of Auroracoin's hype bubble was especially hard and quick. Auroracoin lost over 50% of its value within a few days of its March 25, 2014 launch and never recovered. A month after it was gifted to them, less than 10% of Icelanders had picked up their free money, and the price fell and flatlined. It's now worth a paltry $.016 USD, down from over $30 at its highest. Like the northern lights it was named after, Auroracoin's brief rise was intense and ephemeral, a strange and likely unrepeatable phenomenon. There are several reasons why Auroracoin whiffed so hard. First, even though airdropping gave it a built-in group of users, it didn't give them any place to spend the money; there was never much by way of retail support. Then there was the issue of inflation, something Icelanders were already familiar with. Odinsson planned a tiered airdrop, meaning he'd distribute the gift currency in several clumps. And that meant that every time he unloaded a new bundle of money, it'd devalue the coin. It wasn't very well thought-out. And then there were the technical issues: Auroracoin "forked" shortly after the airdrop, which means its blockchain ledger splintered. Unresolved forking is enough to sink any cryptocurrency, but that wasn't the only glitch. Icelanders living abroad had problems claiming their allotments. Heavy traffic crashed the Auroracoin site. Confirmation times for receiving coins were infuriatingly slow, which screwed up trading. It would've screwed up spending, except nobody had any place they could spend Auroracoin. The entire operation appeared amateur and unprepared to lift any shackles, let alone those of fiat currency. Mr. Odinsson isn't entirely happy with how speculators have driven his currency up 2400% and then halved it, all in the space of six days. On the one hand, the price gain could encourage some people to adopt and use the currency. On the other, sharp declines and price swings could scare others off. The giant spike in interest may have doomed the coin by creating a situation where a huge price swing was inevitable. There's no way to tell if speculative greed was actually Auroracoin's death knell, though, since so many other things went wrong. I haven't even touched on the fraud claims. Many skeptics claim this was a "pump and dump" operation all along, where Odinsson hyped up his coin to drive prices up, selling high before bailing on his invention. His disappearance definitely doesn't help quell those rumors, but unlike classic "pump and dump" situations, he spent an awful lot of effort doling out his coin if his aim was always just to make money by selling a portion of it. That doesn't mean it's not possible. It'd just be a very convoluted, involved way to make a quick buck. Whether or not Odinsson was in on a scam, there have been other reports of fraud in Auroracoin. It appears a handful of mining pools were able to slurp up a disproportionate number of coins. Even if all of the other issues Auroracoin had were resolved, that shady practice could've turned people off. Of course, since Odinsson has disappeared, there's no way to know his true intentions. It could be as simple as a scam. Or it could just be a mess. Dissecting the death of Auroracoin is like trying to figure out what killed a cancerous junkie who fell down a flight of stairs after getting beaten up by a bouncer. There are a lot of potential death blows, and it's probably some inextricable combination of wounds. But Auroracoin is not completely dead yet. While its leader stays silent, there is the final stage of the airdrop expected this March 25, and a small but dedicated community trying to resuscitate the coin. Odinsson isn't an active member of that community. He's been silent since shortly after the coin launched; he hasn't spoken to the press since a month or so after Auroracoin debuted. I attempted to contact him through email and Reddit, but he has yet to respond. I can't tell if he's even checking those accounts. It's not clear if it is due to fraud or someone simply speculated very heavily in the coin, but some people have amassed substantial amounts of Auroracoin—the biggest holder has over 8% of the coins, and even at the low value that's still over $16,500 USD. Whether they're scammy associates of Odinsson or just really bad at digital currency speculation, there's a group that still has a hat in the ring here. But without anything approaching widespread adoption and a dismal valuation, Auroracoin is on life support, and it'll take more than a handful of anxious holders to revive it. As for marking the beginning of hyper-localized cryptocurrencies? Even failures can spawn imitators. Other regional cryptocoins popped up after Auroracoin, aimed at different nations: Scotcoin was developed by an Edinburgh-based venture capitalist, and promised 1,000 Scotcoins to every adult resident of Scotland. It fizzled out. Same with SpainCoin, PolishCoin, UkraineCoin, GreeceCoin, and a number of even more obscure and unsuccessful knockoffs. Creating an alternative to a broken financial system is always going to be alluring; so will the concept of money appearing in an account for you for no reason other than you were born in a country. The little voice inside many of us that insists we really do deserve to win the lottery, to be in the 1%, to be famous—that little itching voice can be persistent. It's a seductive whisper: You deserve a gift. It'll probably urge entrepreneurs to keep creating currencies like this. I suspect Odinsson was reading vintage Naomi Klein; his decision to try and sway exhausted people into a radically different economic system basically screams Shock Doctrine. He was smart about his timing; people who are fed up with one system do tend to be far more willing to experiment. Unfortunately, he underestimated pretty much every facet of the experience of unveiling a new currency. But even a hyper-local cryptocurrency that could sidestep the secondary issues Auroracoin faced would still have to entice a critical mass of merchants and retailers to allow people to spend their new free money for an idea like this to ever be anything more than a novelty concept. As always, in the tilt-a-whirl Land of Cryptocurrency, idealism is getting outpaced by greed and harsh reality.